VISITING your alma mater brings some nostalgic feelings, of the good and not-so-good times. However, when your former institution of learning seems to be moving from bad to worse, the nostalgia turns to repugnance. This aptly sums up one’s feeling of the state of Obafemi Awolowo University (OAU), an institution of which I am proud to be an alumnus. How else can one reconcile the fact that an institution known for vibrant unionism and bubbling student culture is becoming a ghost of its past glories? By next year, a generation of students would have passed through the university without experiencing student unionism! Despite the university hosting the popular Nigerian Universities’ Game (NUGA) next month, students seem detached from any other thing, aside their books, and maybe religious activities. Social activities on campus are at low ebb. Regular public programmes including symposia are few. Added to this is the growing insecurity among students. This is not to mention the constant exploitation of students and introduction of various policies by management at departmental, faculty and hostel levels. But the unreported and worse cases will be harassment and exploitation of students by fellow students, lecturers and staff. A student activist once informed me of a security staff, who was employed to resolve a case of exploitation of a student by another student, demanding huge bribe and later creaming off restitution that should have been paid to an exploited student. This case reminded me of the sexual harassment issue once handled by our union. A brilliant female student in Political Science Department was harassed sexually by a notorious randy lecturer. When she resisted the overture of the lecturer, she failed the lecturer’s course. But the lady had an advantage: there was a vibrant student union. She reported the case to the union, which led to unveiling of serious scandal in the said department. This is a single case among several other cases, even when there was a union. Of course, in the absence of constant vigilance by students, union leaders and activists can become monsters, arrogating authorities unto themselves. But this is tamable; denial of students’ right to unionism makes things worse. On a recent visit, I tried to engage some students at the bus stop on the state of affairs on the campus, and the discussion was revealing. As a result of inadequate transport facilities, poor commercial bus drivers always try to maximize profits by exploiting desperate conditions of students and staff. The frustration of many students and even staff was more about the absence of a student union to put sanity into the chaos. Of course, the students have attempted to get their union back. A protest in late December 2012 for the union restoration forced management to set up, out of panic, a Transition Committee to organize elections. The committee became turncoat days later, parroting management’s excuses for not restoring the union, and by that extending its own lifespan. Surely, the university authorities are sitting on a seething anger of students. It beats one’s imagination how a university management will be comfortably administering an institution without a student union. What if there is an emergency: an epidemic, security crisis, etc, which is better handled with a collective mobilization of students rather than through university directive. However, the answer lies in the degeneracy that has eaten deep into management of education, tertiary education in particular. University administrators, due to lack of democratic running of institutions, have become politicians – desperately scrambling for quick patronages and perks of office. The headship of university is not determined by popular preferences of staff and students, but by circulars from government houses. Therefore, there are desperate struggles to get the attention of the political classes and secure their support, by pledging rotten loyalty to bankrupt political classes. This clearly ensures opposition to academic freedom and democracy but rather promote to a new height, mediocrity, authoritarian rule, egoism, nepotism, cronyism and corruption. The leadership of tertiary institutions, more than ever before rely on absolute power to suppress dissent views to its policies. Vibrant and principled student unionism is now seen as anathema by tiny gods of our ivory towers. Rather than engage in debates and discussions, university administrators see themselves as autocrats dishing out one directive or the other, in a paternalistic manner, to students and staff. Behind this egregious situation is the neo-liberal capitalist policy of governments at all levels, which aims at cutting to the bones social sector budgets, in order to guarantee more wealth for the “one percent” rich. This may be a global phenomenon but is more grotesque in this part of the capitalist world where neo-colonialism prevails. This reality is behind the current reactionary development in Great Ife. 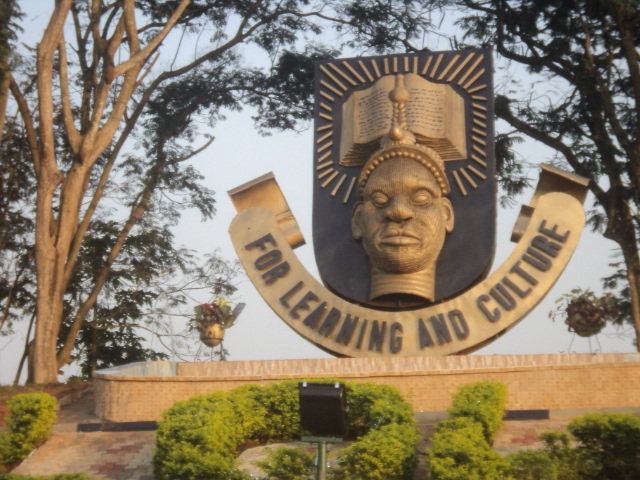 For instance, the intolerant attitude of the OAU authorities did not start today. In fact, the current three-year old ban on student unionism stemmed from students’ opposition to hike in payable fees e.g. introduction of a ridiculous levy called acceptance fees (N20,000!) by the out-gone administration. This same administration brutally suppressed unionism and union activists with unprecedented viciousness that only remind one of the jackboot military rule. More than 20 union activists were rusticated at the slightest provocation; three union leaders including the president were rounded up and detained without any sensible allegation, for between four to seven months, while the administration sponsored divide-and-rule tactics to decimate the ranks of progressive student activists. The current administration has maintained this status quo. The current administration has sustained the culture of fear by flooding the campus with secret security staff, whose population is now ridiculously high. All this is with the aim of ‘cleansing’ the university of activism. Recently, qualified activists were denied admission into post-graduate programmes for the same reason. All this shows how a once vibrant university can become a ghost of its past glories, no thanks to inordinate ambition of university administrators and more importantly, the undemocratic method of administering ivory towers engendered by the neo-liberal regime in place nationally. What is happening in OAU is unfortunately a child’s play to realities in many other higher institutions. This, therefore, places enormous task on not just students, but also academic and non-academic unions in tertiary institutions to begin serious campaign and struggle to restore vibrant unionism and more vitally, democracy on our campuses. The ironical part of the story is that the presidency of National Association of Nigerian Students (NANS) is supposedly in the same OAU where there is no student union – an ugly picture of the degeneracy in student movement! As the OAU hosts this year’s edition of NUGA, one hopes Nigerian students find the time and energy to converge for holistic rejuvenation of once vibrant unionism on our campuses. Oh! Lest I forgot, OAU students are to stay at home during the NUGA events! Did I hear anyone say, “The fear of the students is the beginning of wisdom”? • Kola Ibrahim is an alumnus of Obafemi Awolowo University, Ile-Ife.